Carlos, Light the Farolito by Jean Ciavonne is the perfect book to explain the beautiful tradition of Las Posadas. I checked this book out at our local library, and instantly fell in love with it. 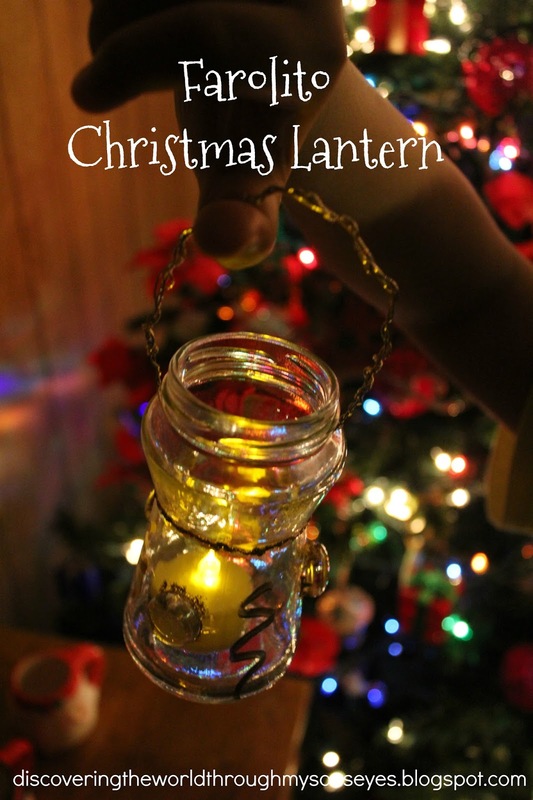 We also had a fun time making our own farolitos. 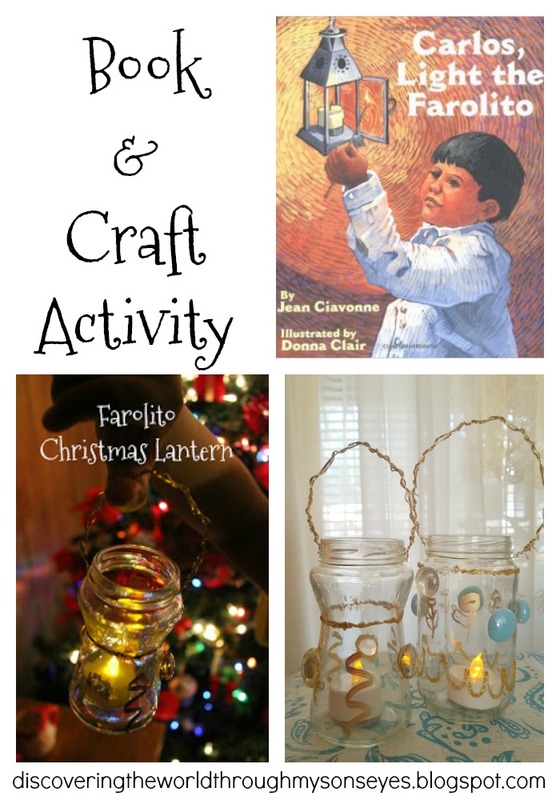 This is a super easy farolito craft. Let your kids decorate the jars with the gold marker, and with the glitter glue. My son drew flowers on his. With adult supervision he hot glued the marble on his jar. 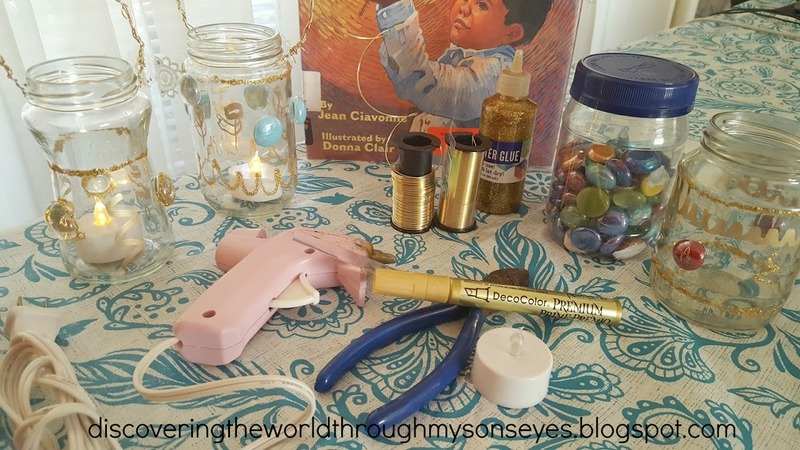 Once the glitter glue is dried (I let ours dry overnight) I attached the handle. 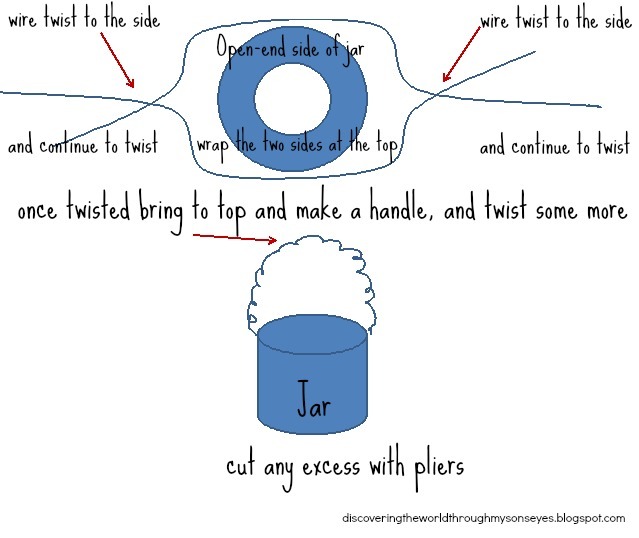 For the handle, wrap two equal size strips of wiring around the open end side of the jar. I cut two pieces of the same size with the pliers, and wrapped them around the jar until I made a handle. See diagram below. 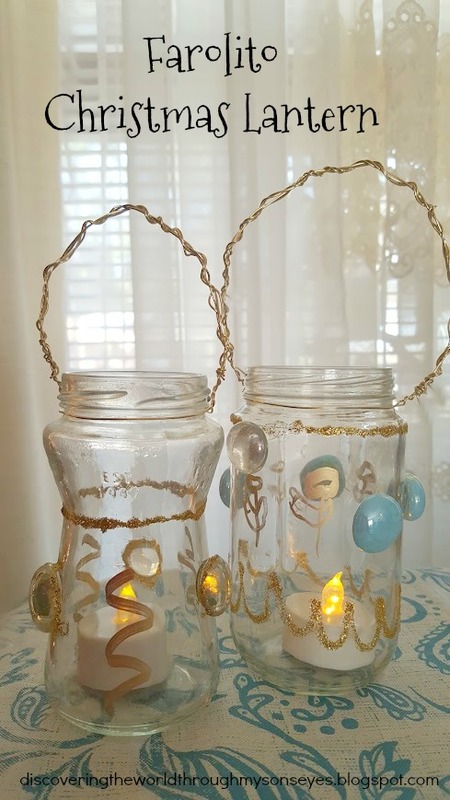 Once finished just add the battery-operated votive tea candles, and voila! You have your very own farolito.